As an acrobatic flyer and certified flight instructor, Isaacman<br /> more recently started an aviation company. Jared Isaacman knew in his teens that he wanted to launch a business. In fact, he was in such a hurry to get started that he took the General Educational Development, or GED, exam and left school at 16. Six months later, after a stint at a credit-card processing company, he launched his own business in the same industry, United Bank Card Inc.
At 30, Isaacman continues to lead the company he started from his parents' basement in New Jersey. Except today, it's a bit bigger. United Bank Card, which is based in Allentown, Pa., now goes by the name Harbortouch and processes nearly $12 billion in payments annually for more than 100,000 U.S. merchants. Isaacman also started a second company called Draken International out of Lakeland, Fla. That aviation company consists of what he calls the world's largest air force, with more than 50 jet fighters, and offers simulated threats for training exercises for one of its clients, the U.S. Department of Defense. Isaacman developed an affinity for aircraft early on and trained to be a jet pilot, an acrobatic flyer and certified flight instructor. 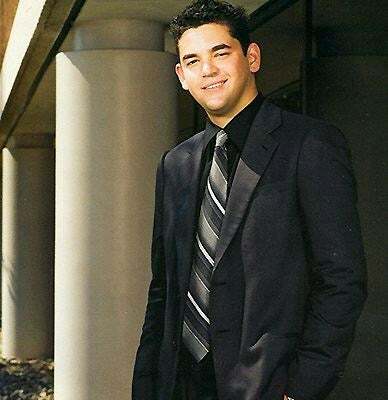 Jared Isaacman left school at 16 to go on to launch a thriving credit-card processing company. He also broke a speed record for flying around the world in a light jet while raising funds for the Make-A-Wish Foundation in 2009. While few people know as clearly what they want to do with their lives as Isaacman, but his experience -- from an ambitious teen to high-flying CEO -- may provide insight and inspiration for other young entrepreneurs. "It all starts with opportunity," he says. "You can have the smartest person that works tirelessly day and night on a business venture but if there's no opportunity behind it, it's going to be a pretty big, uphill battle." You may wonder how a teenager even got to the point of finding his opportunity in such a close-knit industry as business-to-business credit card processing? Here's how it went for Isaacman. After leaving school at 16 with that GED, Isaacman went to work for a credit card processing company called MSI Merchant Services Inc.
"They were and remain a great company. I learned quite a bit from their management team and principally Mario Parisi. He is one of the partners at the company and has been a great friend and mentor. In fact, Mario Parisi and my father are probably the two most inspirational figures when it comes to my growth as a company leader," Isaacman says. Despite his admiration for Parisi, he paid attention. After all, Isaacman was looking for his chance to start up. After a short stint at the company, it hit him: Credit card processing companies were missing out on a key revenue driver, as he saw it. Credit card processing consists of two sides: card issuing, a massive business that the major banks dominate, and card acquiring, which involves enabling businesses to accept customers' credit cards, Isaacman says. When he started United Bank Card/Harbortouch in 1999, the card acquiring business was considered a backwater of the business. "It was a necessary but undesirable component of credit card processing," he says. Banks were mostly interested in further developing their card issuing business, so the card-acquiring end of the business was receiving little to no attention in the form of technological or operational improvements, Isaacman adds. "The companies that handled card-acquiring services were outsourcing like crazy, there was no personal service for the business owners and the paperwork process to begin the service was tantamount to signing up for a mortgage. It was a neglected market with all the focus on issuing more credit cards," Isaacman says. So, when Isaacman left MSI to start United Bank Card out of his parents' basement, that's what he would focus on disrupting. Seeing the potential, Isaacman's father and Brendan Lauber, who is now the company's chief technology officer, joined the business within a few months. "We brought the entire process in-house, literally," says Isaacman. He handled the sales, account underwriting, risk management, deployment and all of the customer service and technical support. "The result was a small basement startup that was faster, more efficient and provided better service than the larger players that were ignoring the potential of the credit card processing industry," he explains. And not wanting to lay fallow for long, just about two years ago, Harbortouch introduced yet another new feature that Isaacman believes has transformed the company. He launched a free, integrated, touch-screen point-of-sale system. Other companies may charge $10,000 for a POS system, according to Isaacman, who compares the free-equipment deal to mobile phone contracts that offer free or low-cost phones when customers sign up for service. "It has been a very successful strategy," he says. "In our 14 years in business we have never launched a program that changed the face and direction of the company more significantly than our free POS initiative."